Understanding the many requirements for billing Medicare Part B can be a daunting task. Questions and issues will arise regarding claim discrepancies, and you’ll need to understand how to respond. Being able to verify what’s on the claim before it’s billed as well as having solid communication between billing, nursing, and therapy is paramount to successful reimbursement. This program will help explain what items can be billed by the SNF and how to maximize reimbursement for your facility. During this 90-minute program, expert speaker Janet Potter, CPA, MAS, will review the required coding for Part B claims, how to calculate expected payments, and how to resolve discrepancies between documentation and claims. Part B reimbursement issues—how is it paid? 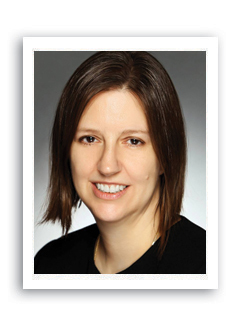 Janet Potter, CPA, MAS, is a senior manager in the healthcare research team at Marcum LLP. Potter joined Marcum through the firm´s 2015 merger with Frost, Ruttenberg, & Rothblatt PC (FR&R Healthcare Consulting, Inc.). She delves into numerous aspects of the healthcare industry, including HIPAA, the Medicare Prescription Drug Program (Part D), and research into ongoing regulations and various healthcare topics pertaining to Medicare and Illinois Medicaid.